The power-packed keynote session that leads the second day of next month’s Auto Remarketing Canada conference presented by CarProof will provide keen insight into the state of Canada’s used-car industry through a variety of viewpoints. “The Strategic Importance of Remarketing and Used Car Markets to the Canadian Automotive Industry” session will be a vibrant discussion featuring top executives representing a various facets within the industry. During this high-level discussion, attendees will not only hear from the dealer’s side of the business, but take in the insight of captives, the leasing side of the business, leading vehicle history provider CarProof and more. Each member in the diverse panel of experts brings a unique perspective to the used-car business to share with attendees. It will be moderated by conference chair Bill Zadeits. In other news from the conference — which is being held April 16–18 at the Fairmont Royal York in Toronto — organizers have extended the early registration to March 30. 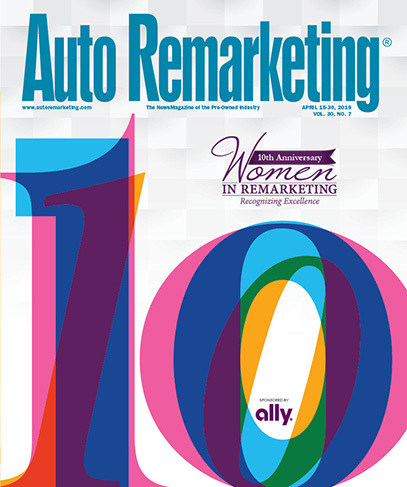 More information can be found at http://arcanada.autoremarketing.com.